A North Carolinan by birth but a resident of California’s Bay Area, Norris Garner is a choir man. 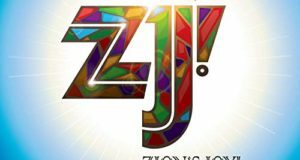 He has written, sung with, accompanied, directed, and taught choirs at the Gospel Music Workshop of America, the National Convention of Gospel Choirs and Choruses, and in Europe. 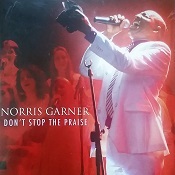 So while Garner’s 2015 Don’t Stop the Praise is billed as a solo album, it features a talented background vocal ensemble that supports Garner and his guest soloists with plenty of polish. 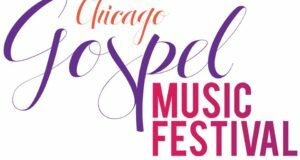 The ensemble consists of Tony and Toni McFarland with Blessed Union from Raleigh, North Carolina; with additional background vocals from Keith D. Moore, Audrey Kelly, Beverly Knott, and Jewelene Tarver Richardson from Washington, DC. The singers shine especially on the classically-influenced senior choir outing, “My Soul Says Yes,” though it would have been even better had the electronically-produced strings and brass been the real thing. Nevertheless, this selection and the devotional “God Has Been So Good to Me” have that richly textured Whitfield/Smallwood touch characteristic of Garner’s performing and teaching philosophy. Similarly, Garner’s contemporary take on the church chestnut “I Need Thee” reflects the deft gospel choir technique that reigned in the 1980s and 1990s. Two especially traditional-sounding pieces are “I’m Going on in the Name of the Lord” and “The Joy of the Lord.” On the former, Garner gets downright gospel bluesy on a song that church stompers like Vernon Oliver Price and Kathy Taylor could turn into glorious mincemeat. The late Dr. Clarence Eggleton joins Garner on the latter, which has the soul of a quartet song in its jump and in its lyric. 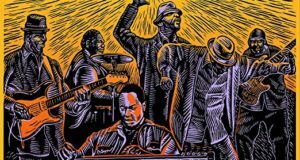 In addition to Eggleton, another Garner colleague, Isaiah Thomas, figures prominently on the project, most notably as co-lead vocalist on the two-part “Holy Ghost Praze Party.” This funky call and response piece is probably more effective visually. Don’t Stop the Praise will appeal especially to fans of that rich contemporary-now-traditional gospel music you hear at GMWA choral gatherings.